This section about chronic pain is not intended as a comprehensive source of medical information, but as a hub for links to other more detailed sources. Acute pain is the body’s alarm system. It signals that something is wrong. It signals that you are in danger of injury or that the injured part needs to be protected and rested. Chronic pain serves no useful purpose and may cause disability and distress to sufferers and their families. Estimates of the number of people with chronic pain vary from 8% to 45% depending on severity and whether medical help is sought. Chronic pain is more common in women and in the elderly. Many types of chronic pain have been identified. However some people with chronic pain do not have a diagnosis from their doctor. The Pain Relief Foundation funds research into the causes and treatment of chronic pain. If you have a pain problem, which needs treatment you should contact your own doctor who can refer you to a pain clinic in your area. This site is for information only and cannot be treated as a substitute for the medical advice of your own doctor. The Pain Relief Foundation is not able to offer individual medical advice. The Pain Management Programme at the Walton Centre was formed in 1983 and is the longest running, largest and most successful pain management programme in the U.K. It is a group based rehabilitation treatment which gives people a better understanding of chronic pain and the impact it can have on their lives. Each year around 400 service users benefit from the programme team support and guidance and how to adjust to life with their condition. Chronic pain is defined as pain that lasts for more than 3 months. In the context of injury or surgery, chronic pain is pain that continues after the normal healing process is complete. As well as physical impact, chronic pain can cause a number of problems affecting a person’s well-being. These can include reduced activity, fear of further damage, worry about the future and general feelings of unhappiness. Other problems may include loss of confidence, isolation, loss of purpose in life and relationship difficulties. The pain management programme is designed to help people understand the wider impact that chronic pain can have and to equip them with a tool they need to make positive changes in their lives to tackle their problems. All this supports the programmes central idea – that people with chronic pain can enjoy a good quality of life, in spite of having a chronic pain condition. Everyone referred is seen by up to four specialist pain clinicians, who work on the pain management programme, in our multidisciplinary assessment clinic. We aim to develop an effective Pain Management Programme rehabilitation package for each person assessed. Individual groups are led by clinicians whose skills reflect the different ways that pain can affect people – physically, practically and emotionally. Clinical psychologists help people on the programme to explore the impact of chronic pain on their mood, thinking and behaviour. Group members may be facing difficulties such as depression, anger, anxiety or loss of identity and role. These sessions provide an opportunity for people to make sense of the difficulties they are experiencing and to learn practical techniques and coping strategies. The programme’s occupational therapist helps people with chronic pain to manage their day to day activities, and return to activities that matter to them. These activities may include personal care, household tasks, work, leisure and social activities. Sessions focus on setting personal goals and learning pacing and activity management skills, with a strong focus on making and maintaining positive changes. The programmes specialist pain consultants explore with group members how chronic pain can develop and continue, helping people to understand – and hopefully come to terms with – the pain that they are suffering from. Sessions also highlight how medications work, and the most effective way to use them alongside other pain management techniques. One of the unique aspects of the Walton Centre Pain Management Programme is a team of volunteers, all of whom have been on this programme themselves. 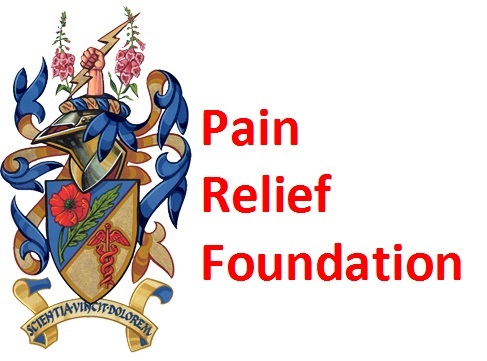 In order to obtain a handbook or CD please contact us direct on 0151 529 5820 to make an online payment or alternatively send a cheque made payable to Pain Relief Foundation, c/o Pain Research Institute, Clinical Sciences Centre, University Hospital Aintree, Lower Lane, Liverpool, L9 7AL. Please note that from outside the UK it is necessary to pay by Bankers cheque in pounds Sterling. . Pain Relief Without Drugs (A self-help guide for chronic pain and trauma). Written by Jan Sadler who was left in constant pain following a back injury in 1989. Rather than endure the continual suffering from chronic pain, Jan gave up her teaching career and began learning self-help techniques. In this book Jan Sandler shares her experiences of self-help pain management, relaxation, breathing and visualisation techniques to break the pain cycle which she learned and helped her to manage her pain and return her to a vastly improved quality of life and improved lifestyle. These audio titles from the Pain Relief Foundation have been designed to help you cope with pain, on a daily basis, in your own home. They are simple to use and effective. They describe techniques used on the Pain Management Programme at the Walton Centre for Neurology & Neurosurgery. Explains how pain travels through the body & recommends strategies for coping with it. Includes a helpful relaxation programme. Presented by Magnus Magnusson and Simon Weston. Chronic pain can also cause anxiety for the patient’s loved ones and this new tape describes very simple, effective tecniques which have helped thousands of anxiety sufferers to regain control and lead calmer, less anxious lives and thus being better able to care for the pain sufferer. Includes successful techniques for managing back pain. Specialists explain how to cope and become more active. Audio contains a relaxation programme, extensive information about the back plus an exercise programme. The CD and double-tape contain extended information from the single-tape. The different types of causes of headaches and migraine. Explains how to treat them and what DIY techniques can be used to avoid headaches and migraine and cope with them on a daily basis. Includes a relaxation programme specifically designed for headaches. A collection of 4 different relaxation programmes, the kit is a useful additional tool for those who have mastered the pain tapes and wish to embrace a healthier lifestyle. It is valuable in helping anyone to relax regardless of whether they are in pain or not. Describes proven techniques for improving your self-esteem and assertiveness, helping you to feel better about yourself and plan your life more successfully and happily. There are many sites on the World Wide Web offering information to people about chronic pain and its treatment. The suggested links, to websites providing such information, from this website are considered by the doctors at the Pain Relief Foundation to be useful and informative. If you know of a good web site about chronic pain then we would be pleased to hear your recommendation. The Pain Relief Foundation is not responsible for the content of these web sites, and does not endorse any commercial product or service mentioned or advised on these sites. (British Chapter of the International Association for the Study of Pain). Contains information for the general public including leaflets on chronic pain, opioid medication for chronic pain conditions and spinal cord stimulation as a treatment for some chronic pain conditions. A registered charity that offers information and support for pain sufferers, including free fact sheets and leaflets. A non-profit organisation that offers membership, regular newsletters and an online discussion forum where you can ask questions or talk with other sufferers etc. Medico-Legal Expertise in Pain & CRPS. Dr. Goebel specializes in the field of chronic limb pain, including complex regional pain syndrome, in the context of injury, trauma, or medical interventions. He is familiar with the latest evidence and has contributed to formulating evidence in this field as one of the worldwide leading researchers. The Pain Toolkit helps people all over the world self manage persistent pain.The Pain Toolkit originated back in 2002 when Pete Moore was writing a self management article for pain health care professionals.Living with pain himself, he recognised while writing his article, that he had developed a toolkit of pain management skills to enable himself to become an active self manager and to lead a better life. Scope exists to make this country a place where disabled people have the same opportunities as everyone else. Until then, we’ll be here. We provide support, information and advice to more than a quarter of a million disabled people and their families every year. We raise awareness of the issues that matter. And with your support, we’ll keep driving change across society until this country is great for everyone. Foundation Info is a useful site when searching for Foundations both Locally and Nationally. Here at Invictus Active we have a range of solutions that we hope will make a difference to your lifestyle – we call these ‘lifestyle solutions’. Using these you will be able to keep active and reap the benefits that an active lifestyle brings. Are you looking for a specialist treatment centre in your local area, if so, please view our specially compiled list of the countries top hospitals that have a reputation for providing effective treatment programs. Do you suffer from arthritis or chronic pain but wish to remain active and enjoy life, if so take a look at the following link from UKS Mobility.com. Here you will find a wealth of information on hobbies and activities that can be modified to suit you depending on your levels of pain and discomfort. We hope this edition of Airing Pain will help those living with pain to understand more about the mechanisms of sleep, and how they can get a better night’s rest. The ESCAPE-pain programme is an award winning rehabilitation programme for people with chronic joint pain of the knees and/or hips. It is delivered in over 140 locations across the country. Physiotherapists at one of our sites, Northwick Park Hospital (of London North West University Healthcare NHS Trust), decided to translate the programme into Gujarati to meet the needs of their local patients. This is the first time this has been done in England and is a very exciting development for the programme.